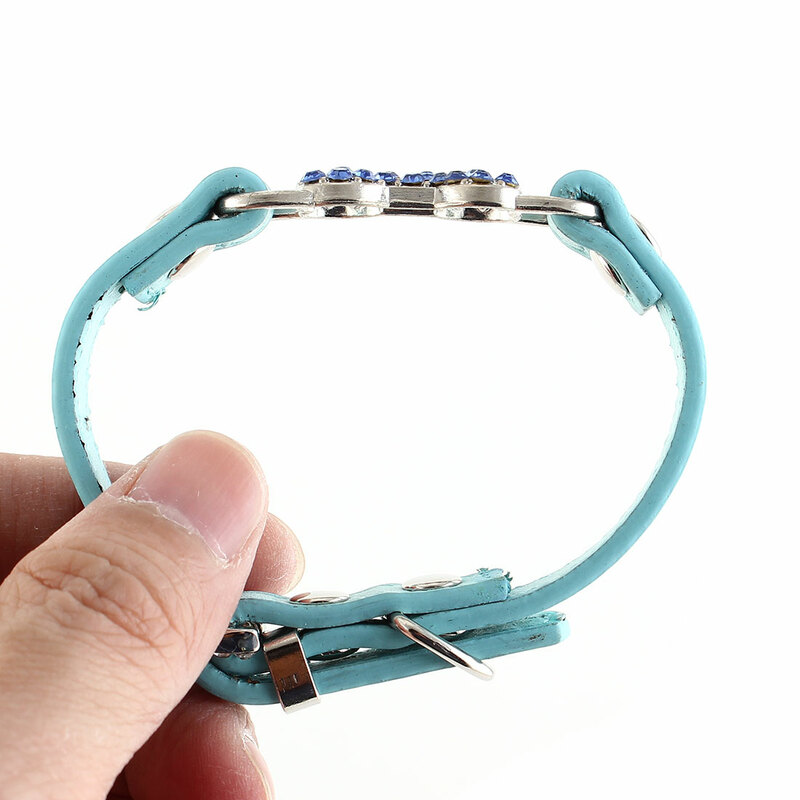 Five adjustment holes, can adjust the size to fit your pet size and metal bone connect. Strong and durable high quality faux leather help protect its neck. With faux rhinestone inlaid, D shape ring can hang pendant. Available Color: Red, Blue, White. Available size: XXS, XS, S.
Please note: make sure your pet size fit the pet collar before purchasing.